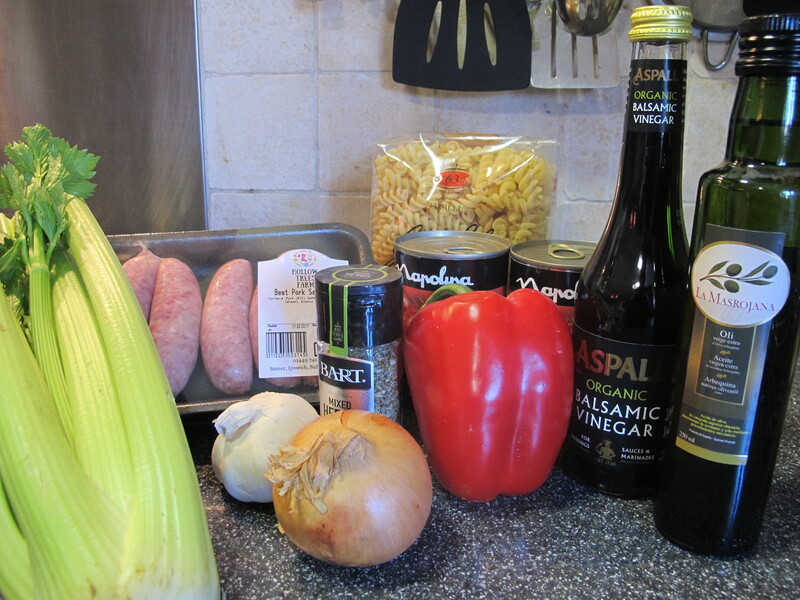 With our Best Pork Sausages on offer this week for Half Term, this recipe will be one to keep all the family happy. Its so easy to make and is full of great tasting, healthy ingredients with no funny stuff added. Our sausages are made from Hollow Trees Home Reared Pork too so we know exactly what’s goes in them and its only top quality ingredients. Packed full of veg, this pasta sauce will be getting you on your way to your 5-a-day. And to top it all off, you can get all the ingredients you need for this recipe in our Farm Shop including our sausages from the Farm Butchers, buy 2 packs, get the third free! So make Hollow Trees Farm, your one stop shop for your dinner tonight. Heat the olive oil in a saucepan and add the onion, garlic, celery and pepper. Cook until soft. Add the tinned tomatoes, and balsamic vinegar and leave to simmer for 30 minutes adding the mixed herbs and black pepper to taste during cooking. Bring a pan of water to boil and add the pasta, cooking for 15 mins or until soft and then drain. Serve with a sprinkle or grated cheese! Swap the mixed herbs for chilli flakes for an extra kick! Add in carrots for an extra healthy meal!